How to Wear the Paint Splatter Trend! The paint splatter design is a pretty cool trend that emerged towards the end of last year. I like its artsy vibe and of course all of colors. The color that lends itself to the garment, grants your brain permission to go on a visual field trip. And I like a good field trip, don't you?? The three piece look is a casual simple way of pairing the paint splatter tee. Skinny jeans and wedge sneakers go just about with anything. 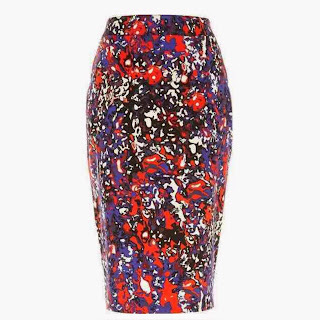 The paint splatter skirt is a classy, timeless way to style the trend. All items are available through me. Feel free to email eic@notablestylesandmore.com for purchase inquiries! !